Media | Carnahan & Sons, Inc.
July 20, 2015: Purdue University’s Ag Econ Department releases a YouTube video about our family’s legacy in Purdue Agriculture. July 10, 2014: Channel 10 In Terre Haute does a report on the old farm lore of “Knee High by the 4th of July”. May 14, 2014: Channel 10 in Terre Haute uses our farm to report on the recently released USDA Census of Agriculture. April 17, 2012: Philip produces a new video about 2012 Planting. June 29, 2011, here is the media guide and brochure for the 2011 Purdue Farm Management Tour. Here’s an interior view of the office. It is equipped with satellite TV and wireless internet. 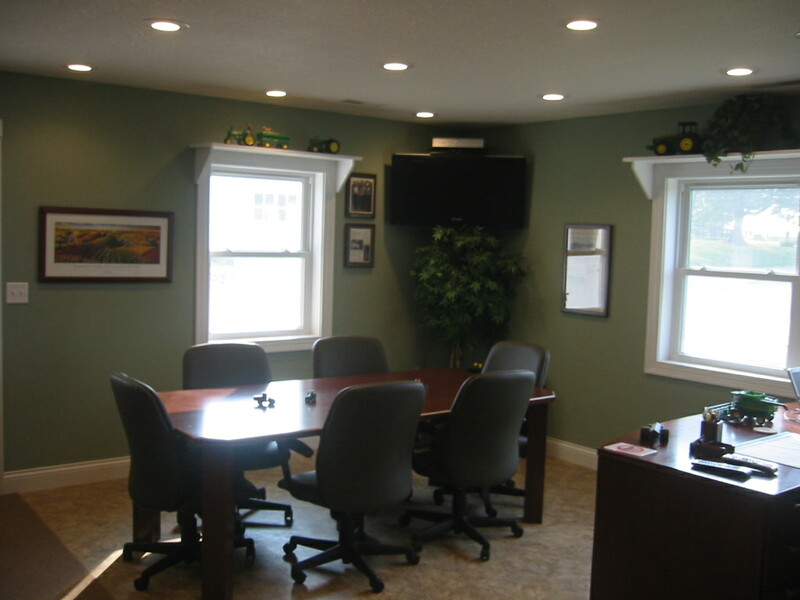 It is a great place for small meetings, and to do the necessary office work. The back includes a restroom with shower, and a storage area with a washer and dryer. The builder was our late friend, Rick Holland. He did a great job on this addition in 2007. 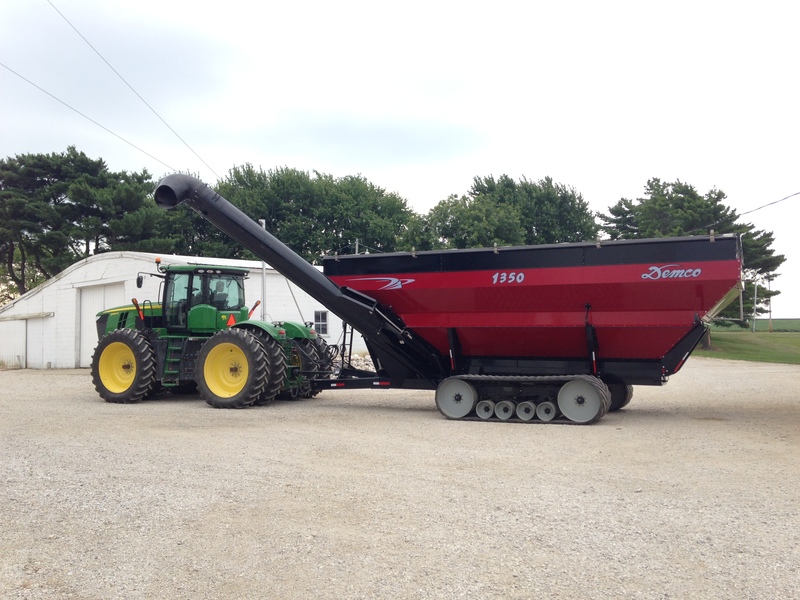 This is our grain cart. We use it to shuttle grain from the combines the waiting trucks. In this way, the combines can unload their grain “on-the-go”. 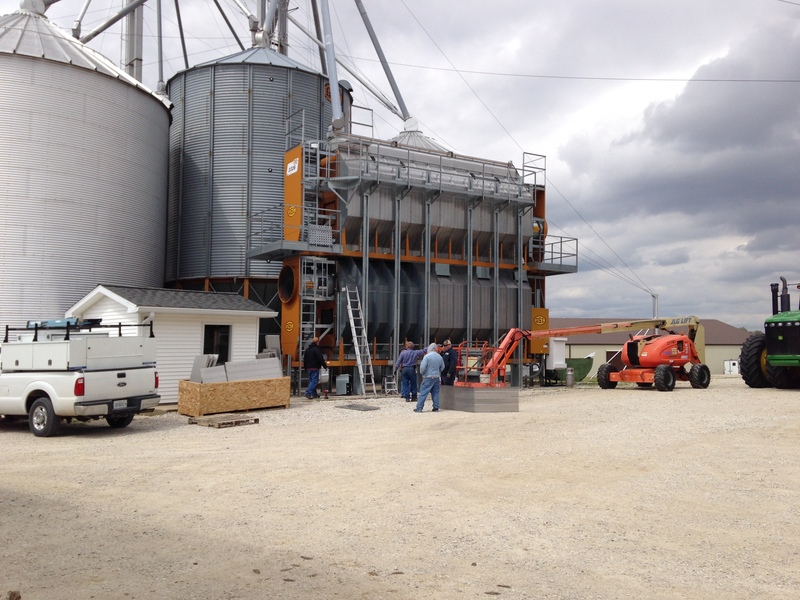 Our grain dryer, a GSI 2326… new in 2012, efficiently dries corn or wheat. 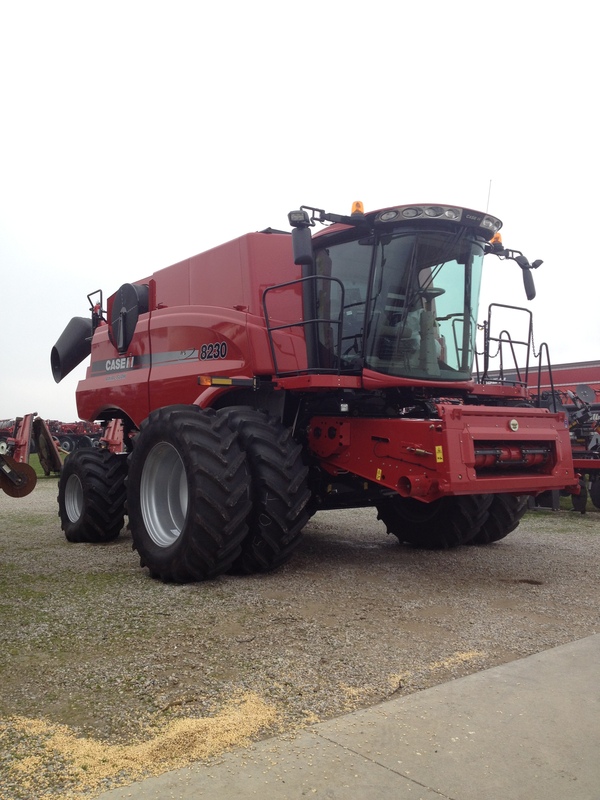 It has sufficient capacity to keep 2-12-row corn combines going. 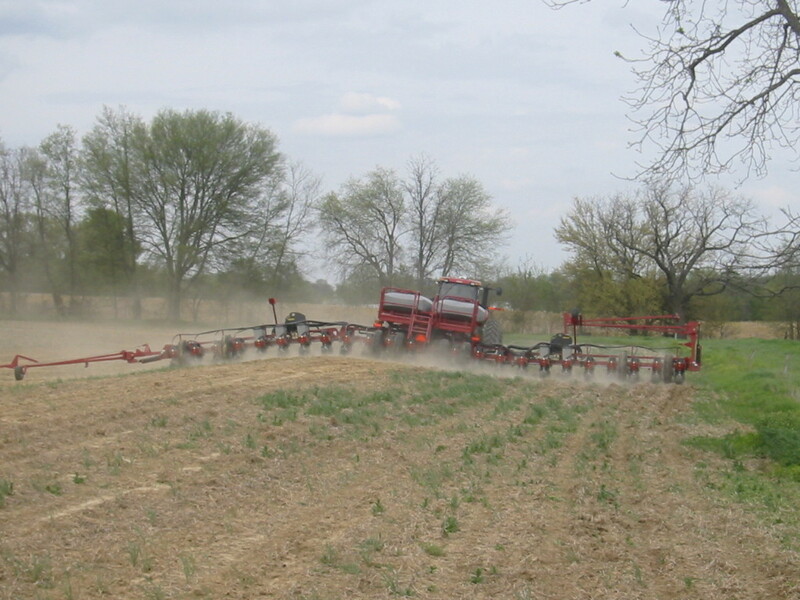 Our 24-row CIH model 1250 corn planter. Ross is the operator. Applying preplant nitrogen for corn. Here, John operates the JD 9360R tractor with 2510H applicator. 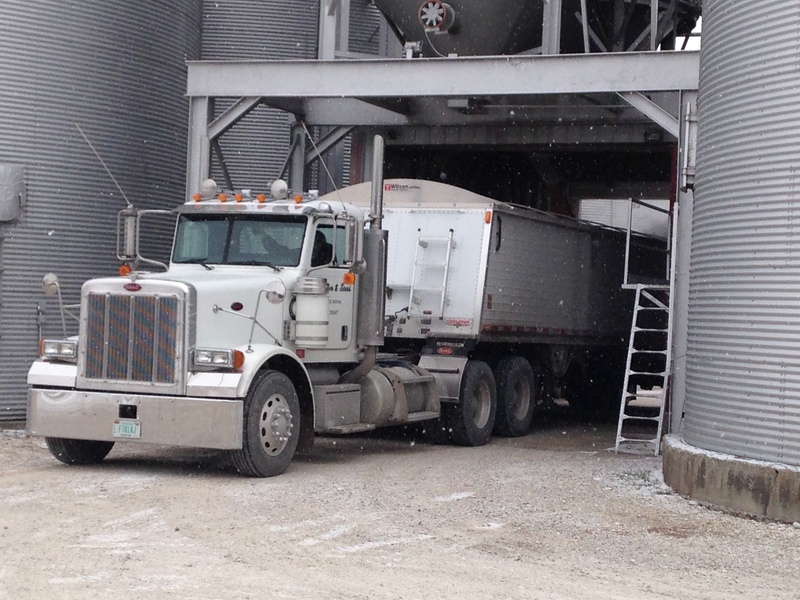 Loading the Peterbilt, to send grain to market. 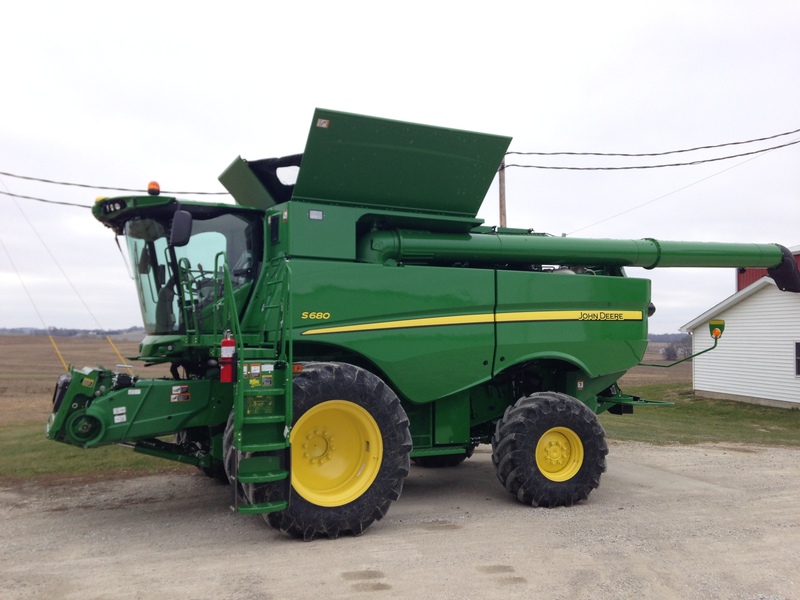 The new 2014 JD S680 combine on the day it was delivered. Clean as a whistle, just the way we like it! The new 2014 CIH 8230 combine on its delivery day. It’ll never be cleaner or more shiny than this day! 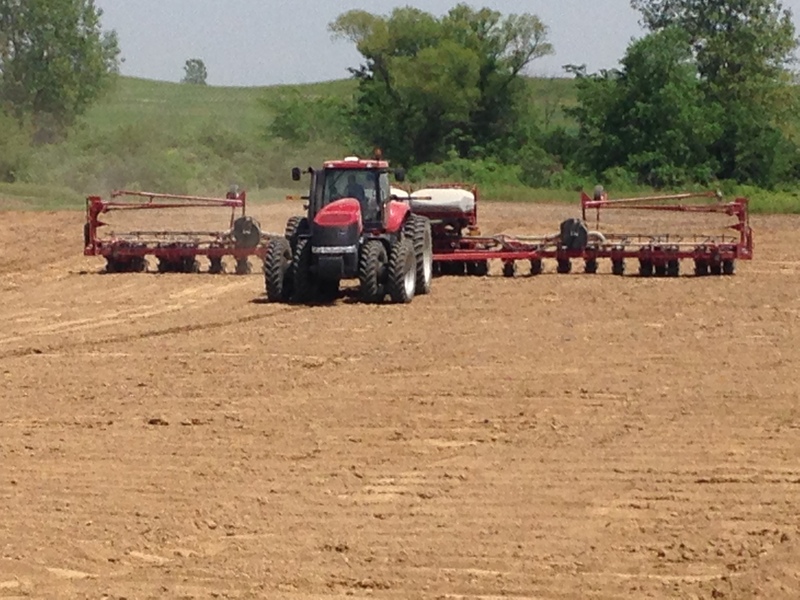 Here’s a panoramic shot of the soybean planting system. 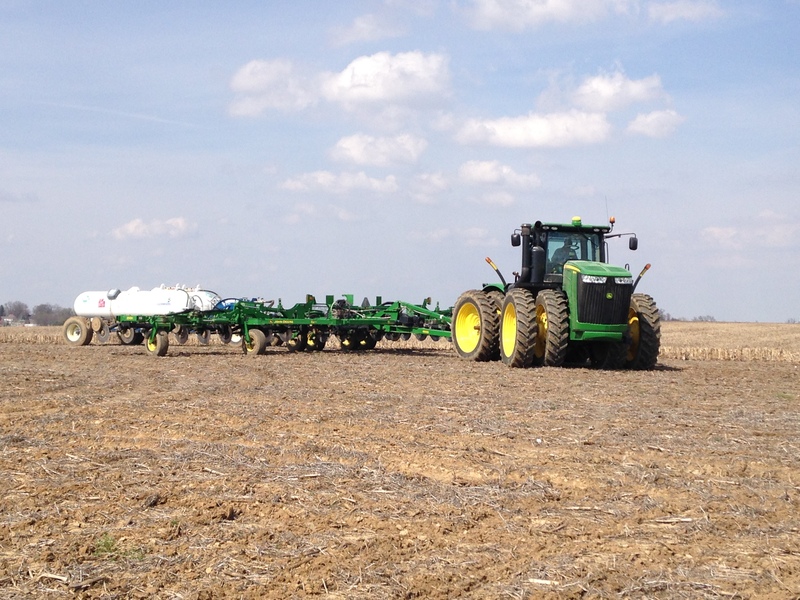 JD 9330 tractor, JD 1910 air cart, and JD 1890 50-foot no-till air drill.